Season of Sanematsu continues the story of shipwrecked Aderyn Aquilla and her samurai lord, Sanematsu Yoshihide. 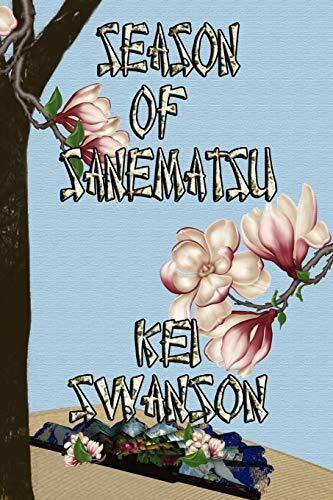 Can they find a way to be together without bringing war to his domain in the Satsuma Provinces? Will Aderyn give her beloved the heir he so greatly desires and needs? Will the Emperor of Japan accept the son of a daimyo and his barbarian wife as heir to the Sanematsu dynasty? The saga of a love doomed by tradition in a land where duty comes before all else, begun in Seabird of Sanematsu, travels to the imperial capital of Kyoto, where death hovers outside every door and only the deep love they share may enable Aderyn and her samurai lord to survive and attain the happiness that seems determined to elude them.